Sail past long lines outside of Copenhagen’s iconic Hard Rock Café with a priority access pass that includes a 2- or 3-course meal. Marvel at the impressive collection of musical memorabilia as you take a seat at your table and peruse the appetizing menu of American classics. Soak up the vibrant atmosphere of the renowned institution as you scour the walls for the drum kit from Metallica’s world tour and a vest worn by Elvis Presley, and then feast upon a delicious meal. Skip the line and head straight to your table for more time to dine among rock memorabilia. 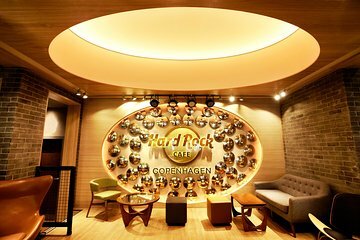 Make your own way to Copenhagen’s Hard Rock Café, located on the prominent shopping boulevard of Vesterbrogade, and sail past long entrance lines with your skip-the-line ticket. Take a seat at your table and scour the walls from impressive musical memorabilia from the likes of Elvis Presley and Madonna. Depending on the option selected, choose two or three delectable dishes from the all-American menu and gaze at quirky mementos as you wait. See an unused airplane sick bag signed by Mick Jagger; point at a sailor hat worn by Madonna; and marvel at guitars belonging to rock legends like Mike Einziger and Pete Townshend. After your meal, depart from the Hard Rock Café and continue exploring Copenhagen independently if you wish. Please see the Itinerary section for sample menus. Worst tour ever. First there was no line, second many personnel didn't recognize Viator voucher, third place was essentially a McDonalds no atmosphere, fourth menu provided with voucher was very bad. We would have done better eating at McDonalds or Burger King. Had a great time!! Food was great as well.! Would have been 5 stars except the points cannot be added to my Hard Rock Membership account. Otherwise a nice experience. Food was delicious and served in a timely manner. We my husband and I purchased 3-course meal. We ordered BBQ combo. It took some time for food to arrive seemingly short of wait staff at around 2pm. The French fries were almost cold and BBQ was not even better. It was a disappointing experience at this Hard Rock!  I booked this restaurant based on the prior, recent reviews from Viator. I would warn Buyers be aware. The meal at the Hard Rock Café was great and the evening was a lot of fun. We were seated promptly and we had specified the 'Diamond Dinner Menu' and ordered from the menu. We were served a PLATTER of food, not to be believed! Actually, more than half of the meal became our meal for the next evening. We enjoyed great service and terrific food very much. Loved the food, and a cheaper option than paying in Copenhagen.